This one of a kind program preserves the core values unique to Eastern and Western Medicine by analyzing Chinese medical classics, while citing peer-reviewed biomedical research articles. The classical point location taught here is based on descriptions from the Ling Shu and Jia Yi Jing (Systematic Classic), which often differs from modern TCM standardized locations. This program will reveal the seamless overlap between classical point locations and the detailed location of peripheral nerve trunks and its branches, whereas many modern locations have drifted away from peripheral nerves as point targets. Together we will rediscover the original intention behind the LingShu and Jia Yi Jing as detailed records of precise locations for stimulating specific nerve branches. Learning the peripheral neuro-anatomy of classical point locations deepens one’s understanding of channel theory. By developing an appreciation for an integrative Neuro-Meridians concept, students learn to apply an integrative strategy to treat a wide variety of neuro-muscular dysfunctions commonly seen in clinical practice. Note: The College of Naturopaths of Ontario have approved this course for 12.5 Category A hours. Understand the similarities between the anatomy of acu-points from classical and biomedical source for the Upper Extremity. Understand the nervous system to refine intention and needle precision. Learn the reproducible DeQi response for each Upper Extremity point. Part 1: Hand & Wrist: Point location, anatomical target, needle technique and expected DeQi response. Part 2: Wrist & Finger Extensors: Point location, anatomical target, needle technique and expected DeQi response. Part 3: Wrist & Finger Flexors: Point location, anatomical target, needle technique and expected DeQi response. Part 4: Posterior Shoulder & Elbow Extensor: Point location, anatomical target, needle technique and expected DeQi response. Part 5: Anterior Shoulder & Elbow Flexor: Point location, anatomical target, needle technique and expected DeQi response. 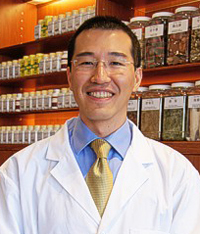 Poney Chiang received a PhD from the Institute of Medical Science, University of Toronto, then a Master’s degree from Pacific College of Oriental Medicine. He is an adjunct professor and founding director of the Integrative Acupuncture Program for the Faculty of Health at York University (Toronto). Poney is a professor at the American Neuro-Acupuncture Institute in Santa Fe, and former chair of herbal medicine at the Ontario College of TCM. For more information, visit Dr. Poney Chiang's website: www.neuro-meridian.net. I first heard of Poney Chiang from different Facebook acupuncture groups in which he was known for his knowledge of anatomy. I then asked about him and was directed to a free introductory webinar on Medigogy (now Healthy Seminars). To be very honest I was shocked from what I saw, and i am not the type to give praises lightly. This man seemed like the missing link between Chinese classics and modern anatomy I have always wished existed. I fondly think of him as a modern Qi Bo. I think his research will be the foundation of how acupuncture is taught to the future generations. I know many claim to reconciliate the Classics and modern anatomy. Yet so far nothing I have seen compares to the systematic approach of Poney Chiang. The man reads classical Chinese, has an encyclopedic knowledge of the various anatomical systems that would put most doctors to shame, has hundreds if not thousands of hours of cadaver dissections under his belt to the point that he teaches medical doctors and physiotherapists. Poney Chiang offer four classes : Foundation, Lower Extremity, Upper Extremity, Torso and Head. Through the videos, the meridian system is explained in a clear way mainly via the nervous system but also the muscles, fascia and bones. The different types of anatomical structures in which acupuncture points are found are detailed. The location of each point is discussed according to Chinese classics (mainly the Systematic Classic) and modern anatomy (nerve, muscles, artery, bone...) then explained with anatomical drawings, dissections photos or films and sometimes scans or MRI. For Each point the proper DeQi is discussed and sometimes demonstrated on video if there is need (for example for motor nerve). I find the amount of knowledge provided is immense and of great quality, you have to watch it many times taking notes and using the hand outs in order to aim to get all you can from it. Yet from the very beginning you can use the seminars simply by adding extra layers of knowledge to the points you use most often. I fully encourage all acupuncturists to attend his course and i know that as it was the case for me, it will make you hungry for more. I am very thankful to Pro D Seminars who invited Poney Chiang to delivers all this material, for providing clear notes and for having free webinars so that we can have a peek before investing. I know Lorne is very dedicated to bringing knowledge to our community, he certainly makes it more easy for us in Europe to have access to some excellent speakers, and he's working hard to make ProD better and better. (I was not retributed for this review).